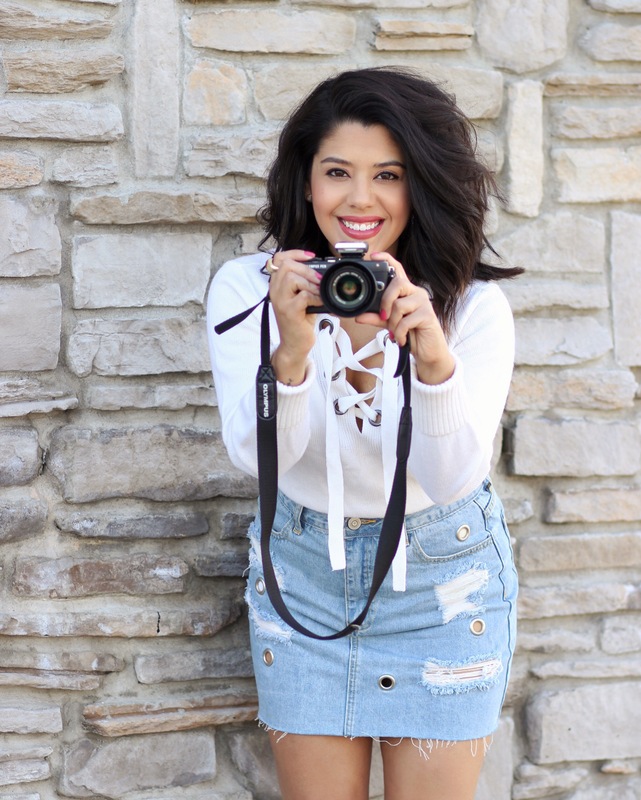 I’m so excited to kick off this brand new Behind The Blogging Scenes series! In case you missed my announcement a few weeks ago, I decided to expand on my blogging tips section. I’ve got so many different ideas and topics that I want to cover. This is for you guys, so make sure to ask me any questions that you might want answered. I’m here to help in any way that I can. I know how much of a struggle it can be to create a blog and get it off the ground. I’m also very familiar with the many obstacles that tend to get in the way with running a blog as a full-time business. My hope is that the lessons and tips that I have learned throughout my journey will help you out in some way. I have a feeling this is going to be a long read, so hopefully you’ve got a cup of coffee or tea and can hang for awhile. Let’s get into it, shall we? aesthetic. I think this is so important to find as a blogger, but have patience as it can take time. I have formed a major love of photography and I am constantly trying to learn new things about my cameras and lenses. I look back on the quality of my photos from several years ago and definitely see the growth and improvement. I think it has naturally progressed over time. There has been a lot of trial and error, but I’m happy with my current content. people and wouldn’t mind doing some freelance photography at some point in the future. photographer. If you cannot afford to hire a professional photographer on a weekly basis, don’t let that stop you! You can start by asking friends and family members or even learning how to master the tripod. I mean I literally started my blog by taking iPhone mirror selfies. You can even look for newbie photographers with a great eye that are just starting out and want to build their portfolio. Many of them will shoot you for free as long as you are crediting them on your site and social media. It’s great exposure for them and even you too. All of this may not seem easy at first, but there is always a way to make it work! Believe it or not, I am still shooting with the same camera that I bought back in 2012. I do plan to upgrade this soon (hopefully before the end of the year) as it has been through hell and back, however it’s been very good to me these last 4 years. 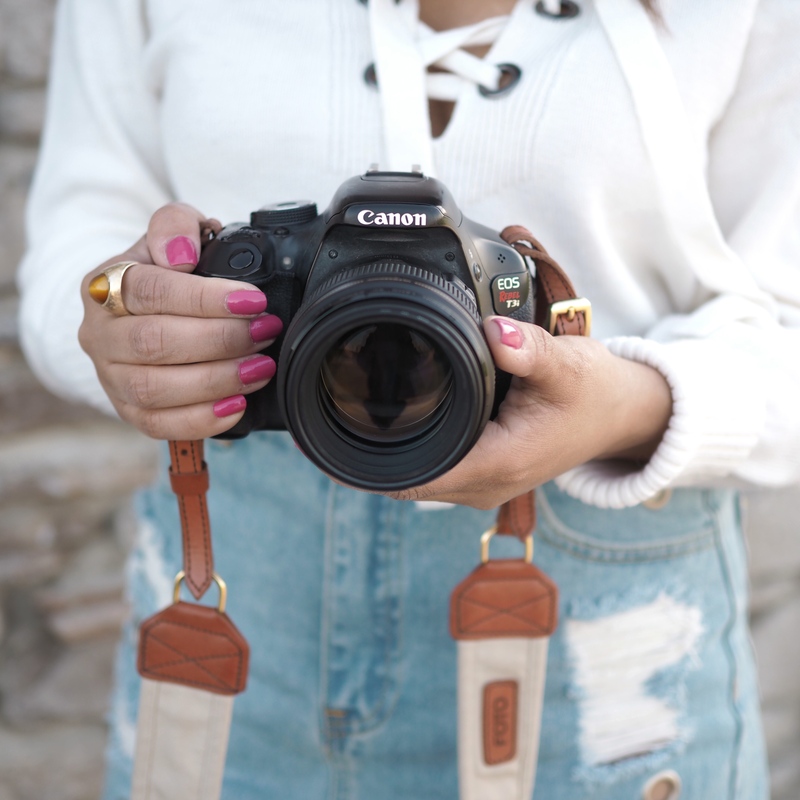 I shoot all of my blog photos with the Canon Rebel T3i. There is also the T3, which is a step down from mine. Both of these are great starter cameras because they’re not super expensive and are fairly easy to use. I would highly recommend this if you are ready to purchase a DSLR, but can not afford anything over $1K. I have seen some things online saying that the T3i is discontinued, but you could probably purchase a used one and save even more money. Purchasing a camera is definitely an investment, but it’s totally worth it, especially if you are trying to turn this into a business. I bought this camera during a Black Friday sale for around $550. As you can see, it was money well spent! When I first bought the camera, I was just shooting with the factory lens that it came with. It was sufficient at that time, but I was looking for better quality and I wanted to blur the background. I then purchased the Canon EF 50mm f/1.8 lens that I was using up until this past fall. It’s a beautiful lens and it’s very affordable for under $150. If you want to go a step up from this you can get the 1.4 or the 1.2. These will give you even more blur. They’re more expensive, but they’re amazing. The 50mm is a fixed lens, which means that you can’t zoom in or zoom out. It’s compact and lightweight, making it very easy to carry around. I would definitely suggest this as your first lens when you’re ready to make the purchase. After shooting with the 50mm for a few years, I knew that it was time to upgrade. My mom and I were starting to struggle a bit with the quality and I just decided that I needed a change. I am constantly looking to improve and get to the next step, so I started doing some research on other lenses. I got many recommendations about the Canon EF 85mm f/1.8 lens, which is another fixed portrait lens with gorgeous bokeh (blurred background). I went to my camera store, Bergen County Camera, and rented the lens for two weeks so that I could shoot with it and test it out. I immediately fell in love and noticed a difference in quality right away. I bought it as a birthday gift to myself for $350. Out of the two, it is my favorite and most used lens. Besides the size, one of the biggest differences between both lenses is that you need more space between yourself and the subject when shooting with the 85mm. Since it’s such a close-up lens that cannot be zoomed out, you need to make sure that you are far back enough. For locations where you don’t have as much room to play around with, the 50mm would be best. 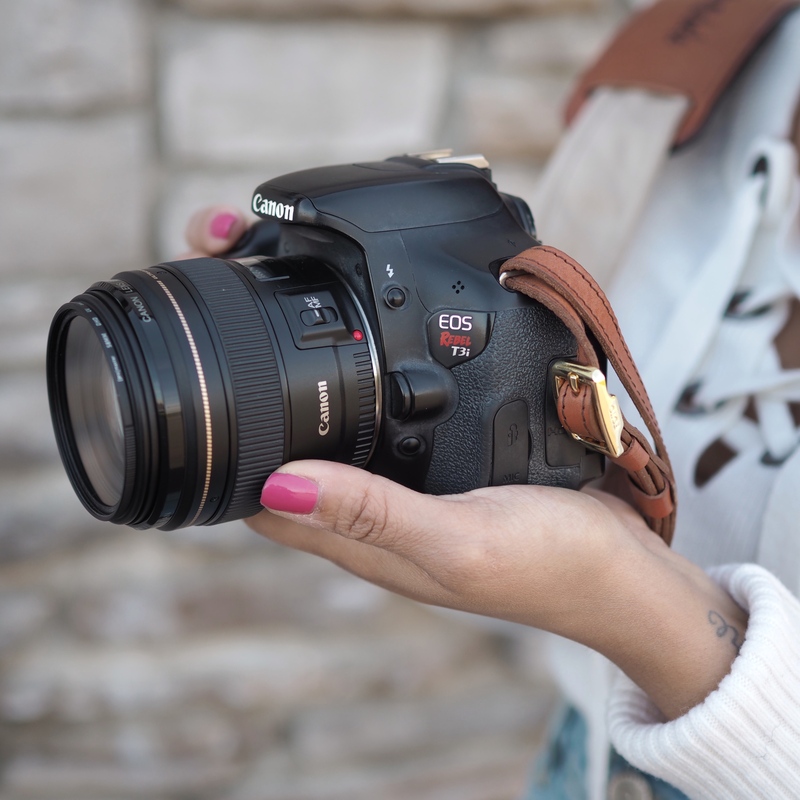 A huge tip would be to get your camera and lens from a specialty camera store if you have one near you. From experience, I’ve just found them to be much more informative and helpful with making my purchases. They know how to answer all of my questions and they even offer photography classes, some of which are free. My mom had been going to this store for years, so she persuaded me to go as well. It is SO overwhelming when you make a purchase like this. Every lens does something different and it all depends on what you’re looking for. Definitely take some time to ask around and do some research online before spending your money. I also think renting before buying is the way to go. Also, make sure to get a filter for your lens too! For my travel and Instagram photos, I typically shoot with the Olympus Pen E-PL7. It’s a mirrorless digital camera. I’ve mentioned this camera several times before. I bought it back in 2015 right before my first solo trip to Ireland. For awhile, I was using the factory lens, but I also recently upgraded and purchased the 25mm 1.8 lens. I just used it in Cabo and it’s wonderful! I would say it’s similar to what the 50mm does for the Canon. It’s also a fixed lens and creates a lovely bokeh. The Olympus is another great camera, especially for travel since it has built in wi-fi and it’s small and lightweight. This can be another route to take if you aren’t ready for a DSLR. When I eventually upgrade to the iPhone 7, I will probably start to use that more for Instagram. I just personally don’t like my iPhone 6 camera. You do not need to use a professional camera to share photos on IG and I’m sure most would see it as more relatable if you used your phone. It’s just been a personal preference for me. I’m a very visual person, so once I started posting with higher quality, it became a little harder for me to let that go. I’m working on it! I get asked about my camera settings quite often and while it does vary depending on many factors, I always shoot in manual mode and typically with a low ISO of 100-200 in natural light. A tip to remember: Lower ISO= less light / Higher ISO= more light. I usually only up my ISO if I am shooting inside and there’s not a lot of natural light coming in. Keep in mind though that a very high ISO will make your image appear more grainy. For a very long time, my mom and I shot in auto, AF, and creative auto until I finally learned how to shoot in manual mode. Shooting in manual allows you to adjust the light and be in control. For me, this was a total game changer. Manual mode can definitely be intimidating at first. I had so many failed shoots in the beginning because I had no clue what I was doing. I learned over time though and think I have gotten so much better at it. The 3 most important things to know when shooting in manual are the ISO, aperture (f stop) and shutter speed. I watched a lot of youtube tutorials and asked photographer friends for tips and advice. I also read several articles online and played around with my camera until I got a better understanding of what each function meant. Utilize all these free resources! I actually just came across this super detailed and informative blog post that is extremely helpful in explaining each of these three things. Check that out here as I think she did a way better job explaining than I could! macbook or Snapseed on my phone. I’m sure some people are cringing right now. lol But hey, it’s worked for me! I do use VSCO to filter slightly on IG. Lately, I have been using J5. I also use FaceTune for minor tweaks like detailing, removing unwanted/distracting objects, and sometimes fixing my clothing when necessary. I’ve discussed all three of these apps before here and here. A huge piece of advice that I have learned is to NOT over edit your photos. I look back to when I was in full white feed mode on Instagram and can’t believe how drastically I was changing the quality. I feel like I ruined all of my London & Paris photos because of that. Thankfully, I snapped out of it. I actually like to look back though and see the progress and growth. While my IG feed still has a certain flow and aesthetic to it, I’ve stopped overthinking it and I’ve tried to just let it flow naturally so that I am not being so restrictive over what I can post. It’s also always good to switch things up and try something different, otherwise content gets stale and predictable. While an aesthetically pleasing and curated feed looks beautiful visually, it’s also not very realistic and relatable. I’ve definitely learned this first hand. I think it’s all about creating balance. For example, the me last year would have probably over edited all my Cabo photos to match a white feed. Blah and boring. I fully embraced my time in Mexico and fell in love with all the blue/aqua tones. It livened up my feed so much. Let’s be real, it can be very awkward. People drive by slowly and stare and sometimes older men even beep their horns. My mom yells at them when they do, lol. I’m always like, “Haven’t you seen someone take a photo before?” While I am kind of always aware of the people around me, I have also learned to ignore them at the same time. Not sure if that makes any sense. It’s like I know they’re there and watching as they pass by, but I don’t let that stop me from shooting. I do often try to find places where there are not many people so that I don’t get distracted so easily. When it comes to posing, make it natural and relatable. I look back on older photos from the first year or two and I’m like, “What was I thinking?” Don’t make the poses over complicated. A lot of mine are the same because I still never know what to do with myself to be honest. Hand in pocket, look to the side, arm up, pretend to walk, sit down. Yup, that pretty much covers all of them. Ha! Just be you and have fun with it. Don’t take yourself too seriously. Have your photographer take some cool candids too. Those are always my favorite. I seriously need to post all my bloopers one day because believe me, not every photo is a good one. Another idea is creating specific themes for your shoots. This can help a lot with giving some more creative direction. I do this whenever I can, but it’s usually for posts like this and not my regular outfit shoots. The key is to find what works best for YOU. Don’t worry about doing what everyone else is doing. Think of your photos as an extension of your voice. What do you want them to say? It’s another way of getting people to listen. Wonderful post! I actually asked you about 6 months ago which camera you’re using and lens, and thanks to your kind response, I got myself a Canon T6i! Super happy with the choice and the lenses you recommended. Like you said before, a game changer! More of these posts, please! Also, repeating myself here, but if you ever come to Napa Valley, would love to show you around! This was a joy to read, as always! Your posts are always so easy to read, funny and relatable! This was super informative and helpful, thanks Naty!